I have decided to sell my 48 Lincoln Continental Coupe. The car has rusty rockers and has not run in 30 years. It does have the V12 with overdrive and is fairly complete (missing trim pieces and wheel covers). I will put a picture on this weekend. If you are interested call me at 520-349-0499. Car is in Tucson and I would like $1,500. I am also selling a 41 continental cabriolet #157 (also V12, Columbia rear, rusty rockers and has not run in 20 years) which will be on ebay soon. I was looking for another Lincoln to restore when I came upon this 36 Packard that I bought for 1200, should have it running in a week or so. straight 8 with OD trans, new tires good interior and no rust. Please tell me you left a "0" out of that price, V12Lincoln. Otherwise, I'll be forced to jump off the roof of my house. A three window for $1200? Wow. If that is what V12 paid then that is the best deal I have seen in a long time in the car market. 36 was a really nice year for Packard. Just got back from taking the Grandkids to disneyland. I only paid 1200.00 for this Packard. the guy who owned it died and had a 3000 sqft garage full of old cars, I was told about how cheap they were going for and thought it was to good to be true then got a call from a friend and headed over there and picked up this 36 for 1200, I offered him 1500 but then he said he wanted the hood ornament and fender turn signals and he would delived it that same day for 1200, needless to say it now sits in my front yard.Even my wife said good deal. will post some more pics if you guys want to see more?? *Please* tell me you're pulling my leg so I can sleep at night, ok? (Lie if you have to). Cecil, There is a guy in town who is selling an old 34 Lincoln (he has the original title but says is should be for parts only, because somebody must have cut the original body off and put this big wood and aluminum carriage sort of body on it, separate drivers compartment) there is a triangle logo that says Willoughby Body and Carriage Works, Utica NY USA, It has lots of leather, mohair, german silver and nickel hardware. He says that if you stripped it and scrapped the metal fittings, then parted out the rest, it should be worth $1500 or so. He says the engine is an oddball V12 but is of no use to Zephyr guys like me, but it still runs OK and just needs to be washed and waxed. I think I'll go over and offer him $1200, if he delivers it and can show me that it runs. Hmmmmm....now you know why I don't play cards for money. I'm all confused now. Here is a link to the car when he bought it. 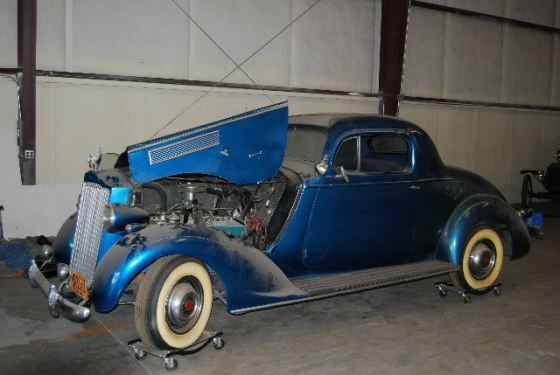 The original poster is offering a 48 LC Coupe complete with drivetrain for $1500. Isn't THAT a good deal? I have been looking into a 46 LC Coupe without drivetrain and from rusty New England for $1200 offer and I thought that was a good deal. Is it just the fact that these cars cost so much to restore, that people avoid them? I have noticed the LC Coupes 41 to 48 aren't as well thought of a LC Cabs. kinda underdog.....not a respected """classic"""
Town cars and formal sedans from the Classic era go for a fraction of what contemporary (and cheaper) coupes and convertibles do. 55-57 Chevys outpace Buicks of the same era, even though the Chevys are more numerous and no where near the quality of the Buicks. Heck, until recently, the Bel Airs even rivaled or surpassed the price point for the 56-7 Mark IIs! Late 60s Mustangs outprice Cougars, and the list goes on and on. I think part of the reason the old luxury cars dont sell for as much as the sportier type old cars is the cost to restore them and the price for chrome now. Here is a pic of my 48 conv. coupe. I spent 6 years restoring it and there is over 10 grand just in chrome work. There will come a day when we will be able to get out what we put into our cars and if you watch the trends at the auctions (there is more than barret jackson) the classics are starting to make a comeback and bring what they are worth. I restore my cars because I love what I buy and I drive them, they can always be re-restored. Agree and agree on all points but you would think those in the Lincoln and Continental hobby would jump at a chance to get a Connie for $1200/$1500. As a Buick collector (1949 Roadmaster / 1968 Riviera) I understand the points regarding the nonsense of collecting 55-57 Chevys and other popular models. These are fun cars to own but come on. I am just an odd duck. I like a wide range of cars. I like Camaros and Mustangs too but it's like listening to a song over and over again, eventually it's just background noise. I'm not a Connie snob. I like Zephyrs, especially the early ones as I am a fan of the Aero styling craze of the 30's (Chrysler Airflow / Zephyr / Nash Ambassador). I think my favorite "period" though is turning out to be the post WWII "club coupe" period. 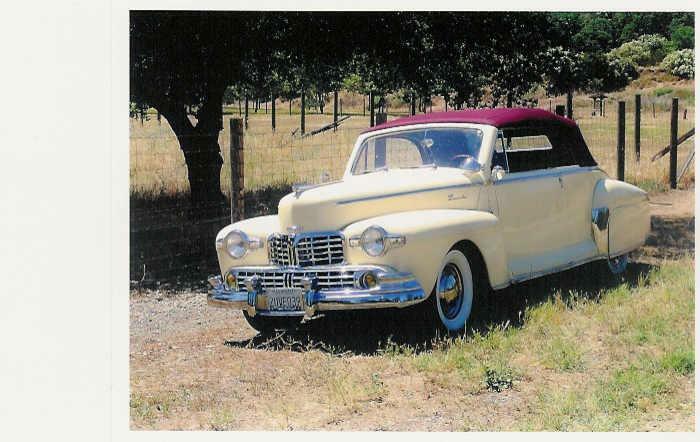 I have the 49 Roadmaster which is a Sedanette (read: fastback) 2 door post model. I would love to get 4-5 46 to 49 models from various makes. I love driving my 37 LZ sedan, as well as my 34 Auburn 652Y sedan. Neither carry the prestige of a true classic (or the market potential), but mine get a lot more lots than the 55-57 Chevys. And I drive my to Wal-Mart, the post office, church and a lot of other places. I am restoring a 36 Cord 810 right now (I sold a 57 Ranchero to buy it). Again it is a sedan, so it does not carry the value of the ragtops, but it still gets more looks than the current "cool" high dollar post war cars. The bottom line is that I have my cars not because I want to make money selling them, but because I want to preserve a part of history. I drive them because people love to see something they have never seen anywhere but books. Essentially, the cars bring great joy to many people each time I take them out. Even gave a 83 year old man the thrill of his life by giving in a ride in the beat up, unrestored Cord. I was at a car show last week with my LZ sedan. 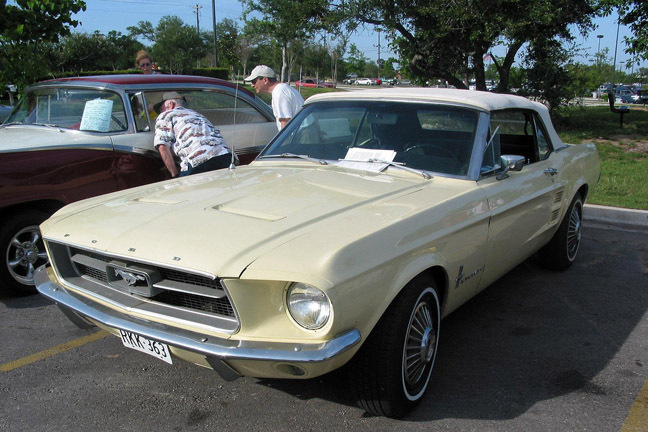 It was the hit of the local show even though a 67 Mustang took home the trophy. I couldn't leave because of the crowd around the old V-12. Around Christmas, when I get the Cord back on the road, it will no doubt bring attention. And in truth, I have had my Auburn six cylinder sedan for three years and I have been offered almost twice as much as I have in it. So I think it might well turn out to be a good investment. I have offers on the LZ all the time too. Just hearing the 12 run gets folks excited. On the Cord, sedan or not I think it is a great investment, but it still the open cars that bring out what we call the "snob" crowd. Car has been sold - no longer available. You sold it to Merv did'nt you? I was at his shop when he was talking to someone from AZ. with a connie. Anyway, my '48 Lincoln connie gets more attention than my restored mustang! What happened to the 41 Continental Cabriolet #157 you were going to be selling? I've been watching ebay but haven't seen it. Did Merv get that one too? But, the '48 was a rusty one, wasnt it? I know that feeling well, Scott. Do you have a photo of your '41 that you can share? I'm trying(?) to sell a 1967 Mustang Convertible that I've owned since 1981. My wife drove it from California to Texas in 1993 and it hasn't seen much use since then. I'm not sure that I REALLY want to sell it, but I need the space for my Lincoln Zephyr and Continental projects. The money wouldn't hurt either but I have a LOT of emotional investment in that car! I'm a lousy horse trader, I always fall in love with the horse!